Records show that prior to 1879, a school was located just west of this site. 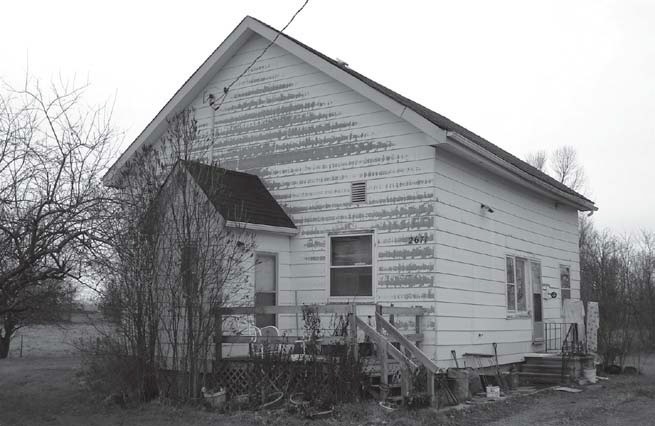 In 1890, Mr. Purdy sectioned off land to the Township so that a school could be built for his children, grandchildren and great grandchildren. 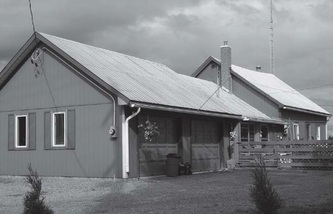 The stone building with a tin roof, built by 1900, replaced the original wooden structure, which had burned down. 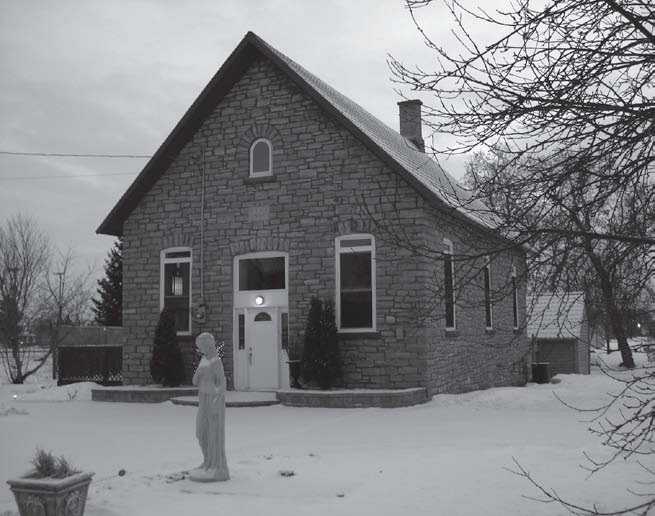 Most students who studied in this schoolhouse were Catholic, and teachers boarded next door with the Purdy family. The school closed in 1964 and was auctioned off. 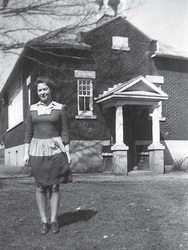 In 1986, Liz Ciesluk, a professional make-up artist with CJOH-TV, bought the school and lovingly restored it as a residence which is now owned by Brian Hull. 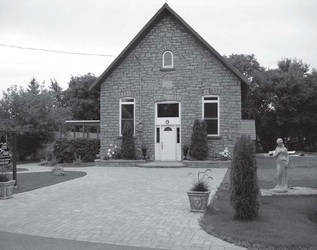 The “Jock” School is a quarried limestone building, constructed sometime prior to 1863. 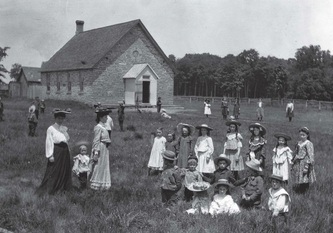 Records show that the original school was a log building, just west of the present site. It served families from the third and second concessions and from the Stapleton area. In 1907, there were twenty-six children at the school under Miss MacLaren. 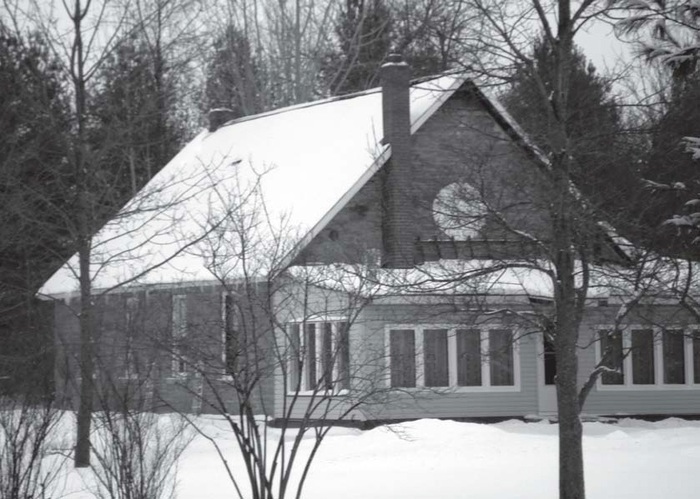 When it closed in the 1960s, it was put up for sale through a closed auction process by the Nepean School Board and is today owned by Bill Laughland. He converted the building into a private residence, putting an addition onto the front façade. This stone building is on Franktown Road, just west of Dwyer Hill Road. It is attached to the back of a private residence. 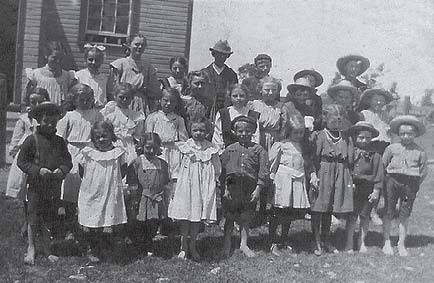 In 1915, it had an enrolment of 12 students. S.S. No. 5 Goulbourn is situated in the beautiful, tranquil historical setting of Munster Hamlet. Pioneer life revolved around the school, which was built in 1890 on land that belonged to William Shillington. The building is edged with quoins and trimmed with voussoirs and the walls are of cut ashlar stone with the entrance on the same level as the rest of the structure. This school closed in 1967, and the building can now be rented out for wedding receptions, corporate and special events. A log school existed west of this site before 1863. About 1875, a frame building was erected on Mansfield Road just east of Conley Road. In 1953, the school was the setting for the production of a BBC TV film in connection with Queen Elizabeth’s coronation. It closed in 1967 and is now being used as a residence. 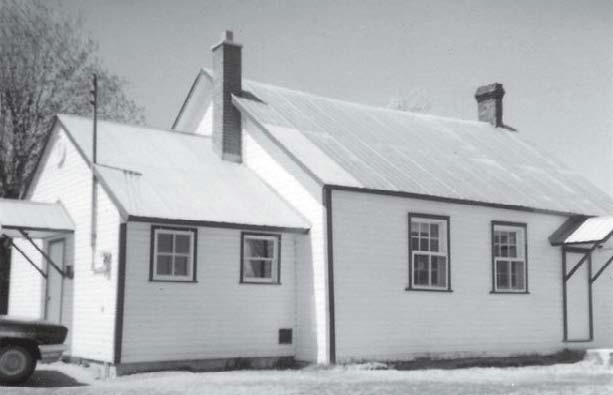 A wooden schoolhouse originally was located at the northeast corner of Dwyer Hill Road and Flewellyn Road before 1863. This building was replaced by a stone schoolhouse in 1874. Former teachers include Margaret Swain, Irene Lynch, Helen Donnolly and Lillian Hobbs. In 1936, a well was drilled to supply the daily water. 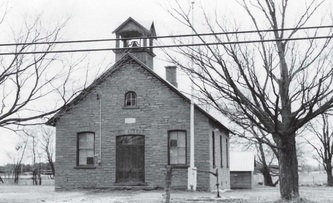 This stone schoolhouse was burned down about 20 years ago. 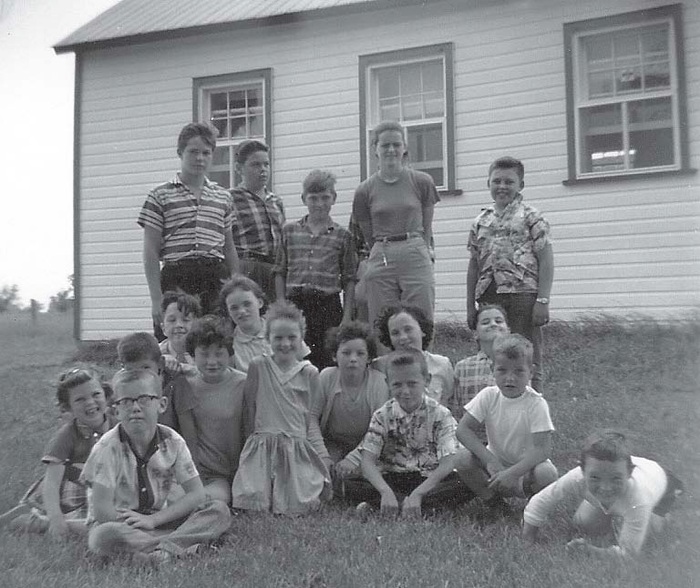 This school was originally a log building located at Stanley’s Corners on the south side of what is now Flewellyn Road, opposite Black’s Road. It was replaced with another schoolhouse located a little to the east. 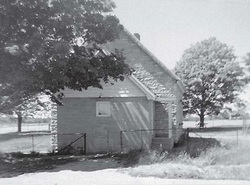 In 1870, a new frame schoolhouse was built on the north side of the road, opposite the previous school. 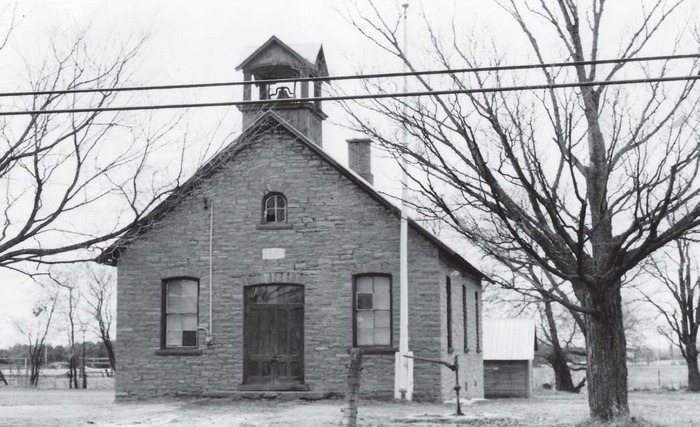 In 1927, this was replaced with a new brick schoolhouse at a cost of $4,500. 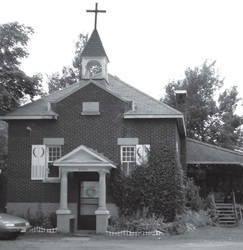 After it ceased being a school with the opening of Goulbourn Township Public School at Stanley’s Corners, it served as the home of Holy Spirit Catholic Mission from 1967 to 1973. 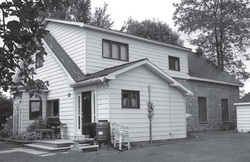 During this time, a major addition was added to the rear of the building. The building is currently a residence with a home business. A cross is still located on the top of the bell tower, a remnant from the days of its use as a Catholic church. Prior to 1881, a log school was located on what is now Flewellyn Road east of Shea Road near the Faulkner Trail. 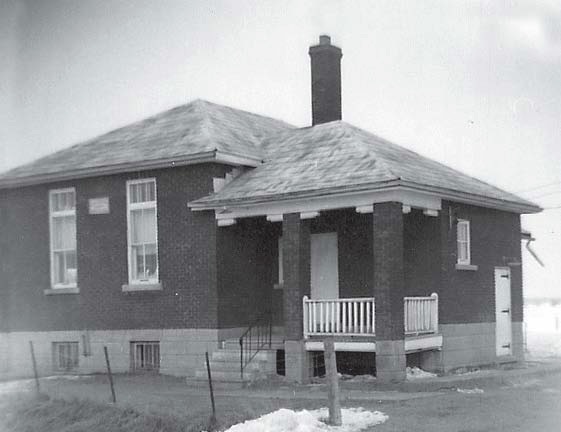 It was destroyed by fire in 1881 and replaced by a white frame schoolhouse on Fallowfield Road at a cost of $390. 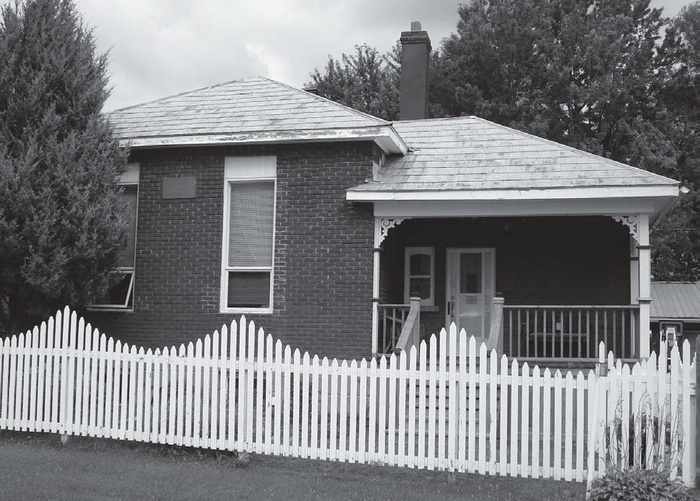 In 1924, the frame schoolhouse was replaced by a brick schoolhouse with a basement, which cost over $5,000. Former teachers include Miss McCord, Allan McWhirl, Allan Robertson and Austin Dillon. 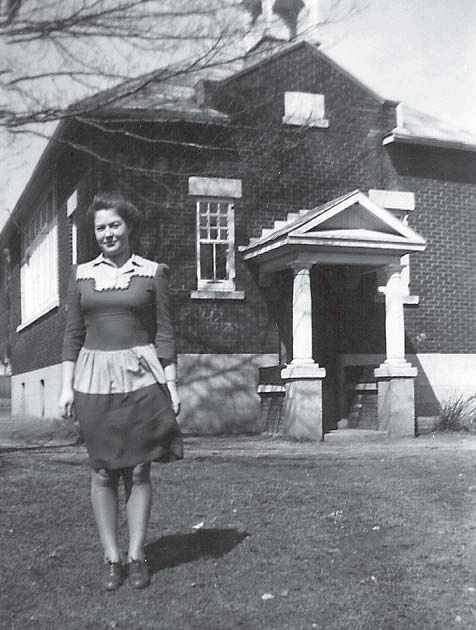 In the 1930s, Lillian Hobbs walked ¾ mile there and back each day for seven years as a student through snow, huge drifts, rain and floodwaters. This brick schoolhouse is still standing today and is used as a private residence by Robin Kollesh. The school closed in 1965. A private house now stands at the site southeast of Richmond, on Century Road just opposite Malakoff Road.